In the 16th report from ITeC EOTA Office, the main topic is the sixth meeting of the technical platforms for the revision of Regulation (EU) 305/2011. This meeting consisted of a workshop for validation of the preliminary results obtained in the support study commissioned by the Commission. Likewise, also notable is the publication of 8 European Assessment Documents (EAD) in the Official Journal of the European Union, seven of which are new EADs and one is an amendment of a published EAD. The new list of published EADs includes EAD 010028-00-0103 “Shallow and reusable foundation kit for lightweight structures” developed by ITeC within the framework of EOTA. 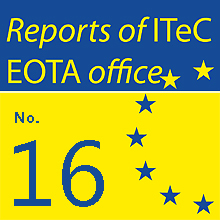 The Reports from ITeC EOTA Office regularly compile information -news with comments- and relevant documents issued at European level, based on EOTA meetings and documents circulated through this organisation. EOTA is the European Organisation for Technical Assessment dealing with products either not covered by any harmonised standard or deviating from an existing harmonised standard. 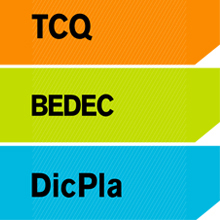 As a member of EOTA, ITeC participates actively in all levels of this European Organisation.